Author: Robert L. Barclay. 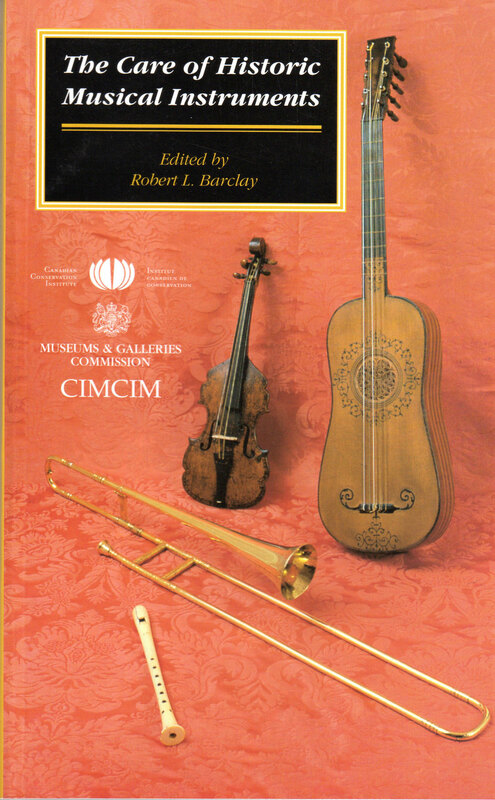 This book provides thorough and expert guidance on the care of historic musical instrument collections, ethics and the use of instruments, materials, basic conservation treatments, maintenance strategies, and documentation. It was written by seven international specialists in the care and preservation of musical instruments. A bibliography and resources list are also included.